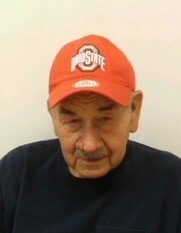 Ronald Albert Like, 84, of McComb, Ohio passed away Sunday, February 3, 2019 at Wood County Hospital, Bowling Green, Ohio. He was born January 14, 1935 in Leipsic, Ohio to the late Albert and Mary (Brinkman) Like. On December 6, 1950 he married Virginia (Spence) Like and she preceded him in death on August 27, 2004. Ronald worked in the construction business with Henry Hickey Construction for over 22 years. He then worked for Holt Graven Scales in Findlay, Ohio. Through it all he was a farmer and maintained his family farm and even ran his own construction company. He was a jack-of-all-trades and was never afraid a good days worth of hard work. He was a faithful catholic and attended St. Michael's Catholic Church, Findlay. Ronald always enjoyed the outdoors, whether he was curious about hunting and guns, mowing his yard, or tinkering with his Farmall tractors. He always look forward to working in his barn or garage and became very passionate about wood working, even up to his last days. Aside from keeping busy, he never missed time to love and care for his family. He was also preceded in death by a daughter, Angela Like; brother, Dan Like; sister Donna Like; son-in-law, David Stoepfel and daughter-in-law, Traci Like. A Funeral Mass will be held on Friday at 11:00 a.m. at Immaculate Conception Catholic Church, Deshler with Fr. Art Niewiadomski officiating. Burial will follow in Woodlawn Cemetery, Deshler. Visitation will be 4-8 p.m. on Thursday at Feehan-Rodenberger Funeral Home, Deshler with a scripture service at 7:30 p.m. in the funeral home. 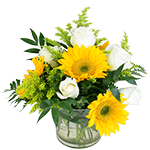 In lieu of flowers, memorials are suggested to the family's wishes.